At Aquatic Bathrooms, we value open and honest communication and are dedicated to providing outstanding service in everything we do. We have a wealth of experience in new bathrooms and bathroom renovations and have refined our process over countless jobs. The benefit for our customers is the expertise and confidence of our entire team, as well as our ability to ensure accurate quotes and timeframes for a simple, straightforward and stress-free experience. We know how important it is to gain an accurate understanding of your wants and needs. That’s why we take the time to meet with you in your own home – it’s a great opportunity to view your space, assess your needs and listen to your ideas. We guarantee to be on-site within two days of your initial enquiry. Our dedication to customer service and a hassle-free experience also means that we’re happy to come and see you at a time that is most convenient for you – we even do Saturdays. Once we are confident that we have a thorough understanding of your expectations and individual taste, we prepare your proposal. 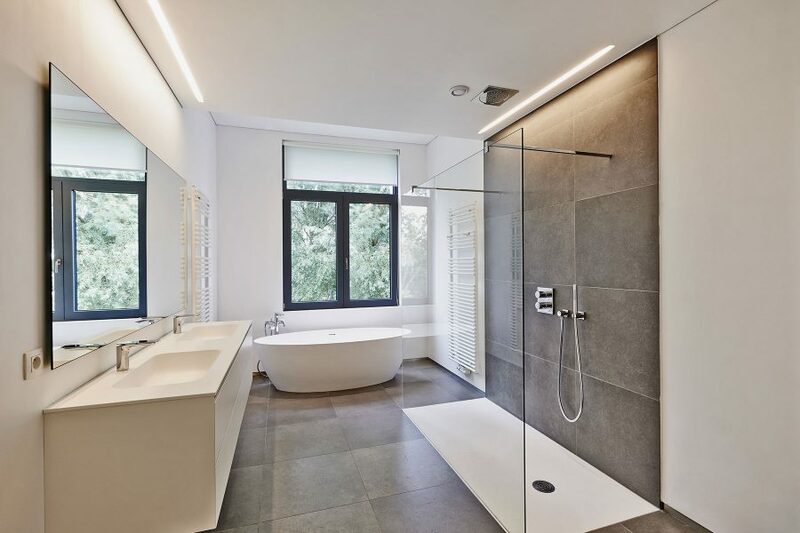 While finalising this proposal, we will consult with you for guidance on the fixtures and fittings you wish to include so that we can ensure the bathroom we propose is in keeping with your practical needs and style preferences. You are also welcome to visit our preferred supplier, Geisha Ceramics, directly to choose all fixtures and fittings for yourself. Once you are happy with our proposal, we will submit a job contract for your approval. This contract is based on a standard Queensland Master Builders contract and is clearly itemised, including costs for all standard materials and labour, as well as details of the projected start date and practical completion. Please note that any non-standard fixtures and fittings you decide to include will incur additional costs. By the same token, your final cost may be lower than the initial proposal if you opt for less expensive selections. To keep the approval process simple, we even send your contract with a pre-addressed, pre-stamped envelope, so it’s easy to sign and post back. Once we receive your signed approval, then it’s time to get started creating the bathroom of your dreams. 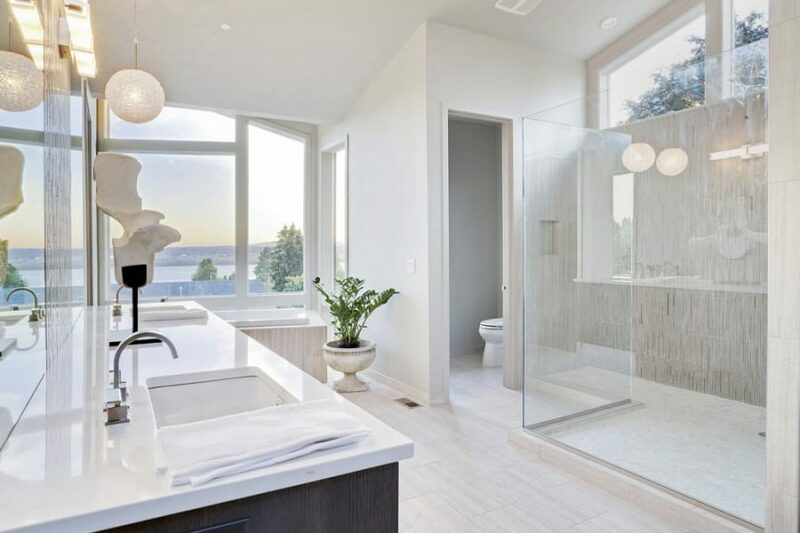 In our experience, most bathrooms take about 7 working days to complete (give or take, depending on whether there is asbestos or unforeseen complications, such as termite damage etc.). Below is a brief rundown of our work schedule for a standard bathroom renovation. Please note this schedule is based on a standard bathroom renovation without unforeseen complications such as termite damage or asbestos. – Remove fixtures, wall and ceiling sheets and floor tiles. – Change the plumbing and electrical to suit new design. – Install the bath and begin sheeting the walls and ceiling. – Plasterers will set the joints and hang the cornice. – Waterproof membrane is applied to the wall sheets in the shower recess and entire bathroom floor. – Floor and walls are tiled. * A standard shower screen takes approximately five working days. A semi-frameless screen takes approximately eight working days and a frameless screen takes approximately 12 days. The bathroom can still be used during this time. We are an experienced and dedicated team that values professionalism and a perfect finish on every project – large or small. 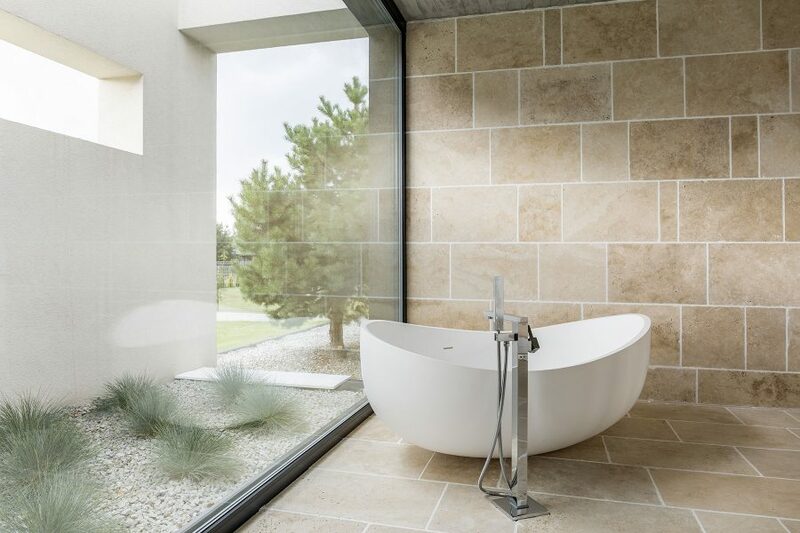 Draw inspiration from this photo gallery for your bathroom renovations. Anything is possible. At Aquatic Bathrooms, we know a new bathroom is only as good as the quality of the workmanship.